A visit to the Upper Peninsula of Michigan for cross country skiing and visiting relatives. 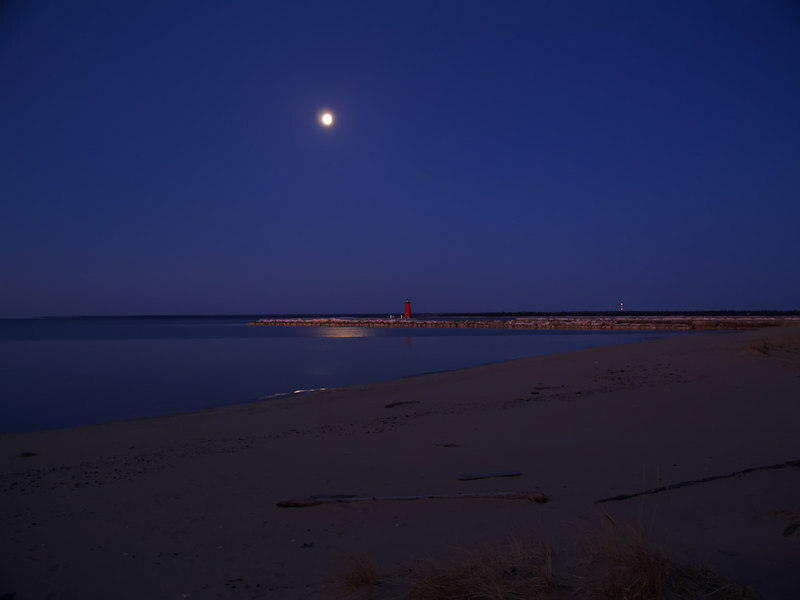 These were taken in March of 2006 along the northern shore of Lake Michigan starting before sunrise. While it had been a relatively mild winter, winter had not yet given up its grip. I think these are some of the prettiest sunset pictures I've seen... I'll be wanting some copies!